I was so hoping he wouldn’t break down. This was my mission. After a lengthy sabbatical, my four-year old son returned to preschool. However this time we had to find a new school, something closer and more affordable. We looked at a couple of schools, but as always our first choice hasn’t called us back. Apparently they’re too busy to let us know that they have no space, or that they got our message, or that their classes are full. Apparently, after speaking to a friend of mine, moms need to contact preschools about six months in advance. Sometimes even more. I couldn’t believe it, but it appeared to be true. It’s insanity. It’s preschool people, preschool. Coloring, painting, ABCs, days of the week, music, shapes, puzzles, trains, and the concept of sharing. Why is it that people get all crazy over it? Why is it that I need to sign my kid up six months or a year before? Because moms are crazy. Some of them want their kids reading Harry Potter and working on Excel Spreadsheets by the time they’re in first grade. These crazy moms scare everyone into signing up early, for fear of being “left behind.” So the lists get crowded, and it leaves normal people like myself who shop for schools during the summer with few choices. But even though my choices were limited I finally found a school that provided a good curriculum and nice teachers. Teachers that gave me a good vibe. When you’re a mom you definitely have to listen to your vibes — a.k.a. your intuition. So after taking the tour, checking out the classroom, and meeting the teachers, I felt better about my mission and so did my son. He had his first day of preschool this week. I was both happy and worried, but it turned out well. No crying on his part, so there was no anxiety on mine. This made the entire process much easier. Although I think the wallet helped. We created a wallet for him that contained our pictures. So if he were to miss us, he could just take out his wallet and check out the pictures. This, I hoped, would make him feel better. He’d have us close to him and wouldn’t be scared. And he wasn’t. He survived … actually he thrived. I was happy about that. However I did have one concern. 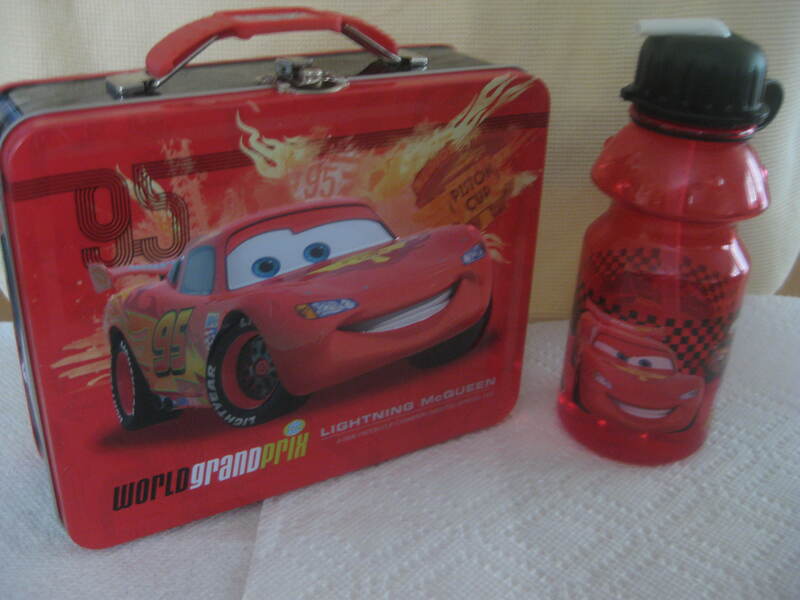 We had bought him a Lighting McQueen lunch box and water bottle for his preschool adventure. However he decided to take the bright green mini lunch cooler with him. So when we arrived I saw rows of Lighting McQueen, Thomas the Train, Dora The Explorer, and Elmo lunch pails. And then there was my son with the mini cooler from Target. I thought he’d feel bad or that a kid would tease him, but he took that mini cooler and owned it. He strolled in there with confidence and set his mini cooler down next to the array of cartoons characters. He was the proud owner. When I asked him if he wanted to switch to his other lunch pail he declined. This is the one he took. In middle school – the lightning McQueen one will go far but in preschool they will hardly notice… Sounds like a pretty grounded kid and mom, too. As a society, we worry too mich about others and too little about ourselves. Have a wonderful year and celebrate learning. Is it that moms are worrying their kids will get behind, or just that they have to work and need a place to babysit for them? My wife was able to stay home for all three of our children growing up; we were blessed that way. The wallet with pictures was a great idea. Your son sounds like he’s a confident young man; good job! Your little guy’s non-conformist attitude about his mini cooler rocks! Thanks it’s times like this when he makes me smile.